Large panoramic windows, stairways, overhanging passages and the immersion in the darkness of tunnels dug into the conglomerate have helped to make it one of the most spectacular and exciting routes on Monte di Portofino: it is the Sentiero dei Tubi, the Path of Tubes, a path as spectacular as it is challenging, accessible only if accompanied by guides from the Portofino Park. The Sentiero dei Tubi traces the ancient route of the Acquedotto delle Caselle (inaugurated way back in 1899) which supplied the town of Camogli with water. 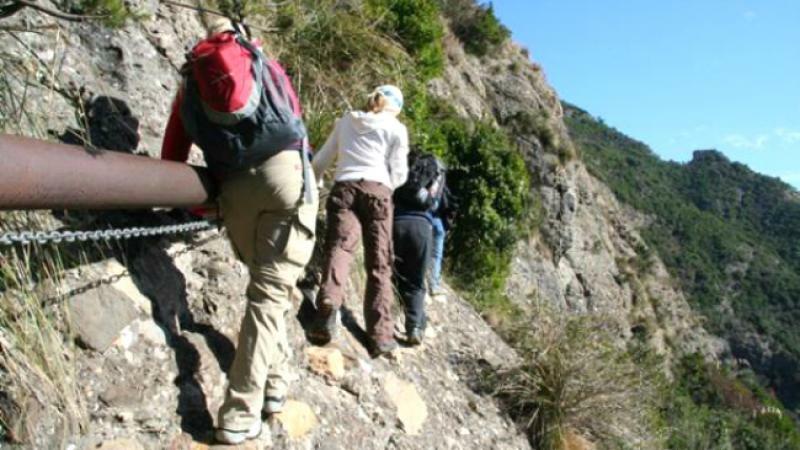 Today you go on guided tours that also reach Monte Bricco, a panoramic point that embraces the entire Golfo Paradiso.